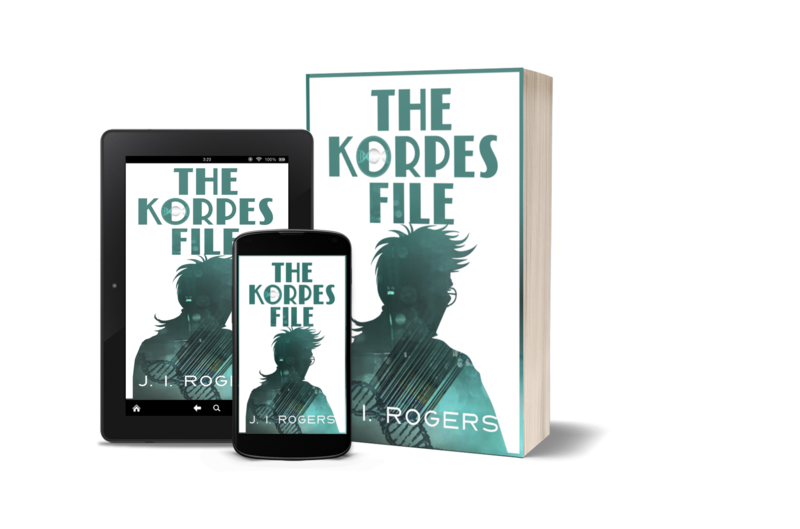 There are ten books under development for ‘The Korpes File Series’ and the first three are virtually complete. As if being born Diasporan wasn’t enough, Technician Nash Korpes had the bad luck to resemble his Tyran ancestors almost identically in both form, and manner. These traits, though highly prized by the special projects division at the shadowy Korlune Military Research and Development, mark him as a specter from their warlike past. With only his intellect holding his sanity in place, he wages a private war against the entire socioeconomic status quo, and begins to uncover the truth that threatens them all. Nash Korpes has officially escaped the clutches of Korlune Military Research and Development by securing the patronage of William Harlo and landing a prominent position for himself and Davis Trent at Harlo-Fyre. On the surface, things appear bright, but dark forces from his past still stalk Nash, and new ones emerge seeking to destroy him. As the line between friend and foe blurs, will he have time to complete his agenda before someone uncovers his plans and ends his quest for justice forever? Recovering from his recent surgery, Doctor Nash Korpes is abducted by the militant group calling themselves ‘Clan Evora’, and taken to the heart of a savage jungle known to all as ‘The Seep’. With dark forces vying against his friends, in their bid to pay his ransom, in whose clutches will he end up? Will Nash live long enough to see Harlo-Fyre again? “Tales From The BBS” dips back in time to just before book one. Two young engineers detect an anomalous, repeating signal, amid the background static generated by their radioactive world. It leads them to a millennium-old archive; a link to a time before the conflicts that ravaged their world. Together, they fight to keep their discovery secret from those that would use it for destruction and endeavor to restore this missing link to their collective past. THE SHARD – undergoing first revisions Threatened by an inter-dimensional war, the Shard’s one thought was to save their collective from the aliens. When an accident in slip-steam forces them into hostile space, the damaged Shard ship is forced to crash land on the planet, Tamyrh. Will they be able to return home? CLAN DESTINE – draft version This book explores the roots of the infamous Korlo militant group. CLAN EVORA – draft version This book explores the roots of the infamous militant group from the Evora Basin. The remaining two lack a title and cover concept, but the core concepts for both are in place. Here are older ‘concept covers’ for books 1 and 2. I might turn them into graphic novels or motion books.